What’s the 1-3-2-4 Baccarat Strategy? All baccarat strategies depend on some degree of good fortune for success, but that doesn’t mean they aren’t useful. 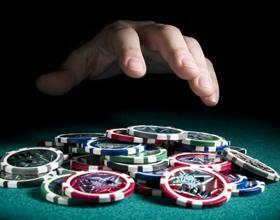 If you’ve ever tried your hand at baccarat, you’ll understand the difficulty in developing a winning strategy. Sure, skipping out on the tie bet is a good place to start, but choosing between the player and banker is a little more difficult. Then there’s the matter of choosing a good betting system for maximizing your winnings without amplifying the risk. There are a number of strategies out there that claim to fulfill these needs, but they all revolve around the same basic principle – limit risk while taking advantage of hot streaks. Today, we’ll take a closer look at one such system. The 1-3-2-4 baccarat strategy was developed in 2006, and it’s a variation of the 1-3-2-6 system. With that in mind, let’s get into the details. When employing the 1-3-2-4 baccarat strategy, you’ll be moving through the sequence with each win. Won a hand? Move to the next step. Lost a hand? Back to start. After you’ve won all four, you’ll also return to start. Obviously, if you’re able to win all four in a row, you’ll win big, but this strategy is about limiting risk. As long as you win on the first two bets, you’re guaranteed an overall win, even if the third or fourth bet turns out to be a loser. Let’s assume you’re using $5 betting units at the baccarat table. Start the sequence by placing a $5 bet on the banker area of the table. If that bet is successful, you’ll move on to bet two. For the second wager, you’ll bet three units, including the $10 won on the previous hand and an additional $5 bet for this hand. If this bet wins, you’re guaranteed a win using the 1-3-2-4 strategy. For round three, you’ll bet two units. This ensures that your bankroll will be larger than it was to start when all is said and done. If the luck continues and you win the third bet, the fourth wager is the time to cash in. The final bet of the sequence is four units. If that bet hits, you’ll rake in nearly $50 in profit in just four bets. Not bad, huh? While the 1-3-2-6 gambling system wagers all of your profit on the final bet, the 1-3-2-4 system minimizes the risk, keeping back two profit for the final round. With this small adjustment, players will win more often, even if the maximum prize is slightly smaller. You’ll still need a little luck to consistently win, but this strategy will help you keep track of your winnings and make the most of your bankroll. After all, you’ll be a winner anytime you successfully win two games in a row. All baccarat strategies depend on some degree of good fortune for success, but that doesn’t mean they aren’t useful. Implement the 1-3-2-4 baccarat strategy on your next casino visit in order to limit your risk without sacrificing big winnings. If all goes well, you’ll be walking out with a considerable boost to your bottom line.